Spiral-O 19 Ring Wire Binding Elements - 1/4"
Our 1/4 inch Spiral-O 19 Ring Wire will allow you to bind proposals, manuals and more with a sheet capacity of 11 to 25 sheets of 20# paper. Spiral-O, also called IBIWIRE, is compatible with your plastic comb binding equipment as it utilizes the rectangular 19 hole punch pattern. A separate wire closer allows your plastic comb binding machine to become a multi-functional binding solution. Spiral-O Wire (19 Ring Twin Loop Wire) is designed to work with your comb binding machine if it includes a wire closer. Ibico designed comb binding machines with a wire closer years ago. Wire closers can now be purchased separate from the wire binding providing a low cost solution for those wishing to do two binding methods with one punch machine. With the aid of a wire closer your comb binding machine becomes a multi-functional binding system that will enable you to create both wire bound presentations and comb bound presentations. Your Spiral-O wire bound presentations will lay flat open or closed. Spiral-O Wire is available in many sizes and colors to meet your binding presentation needs. 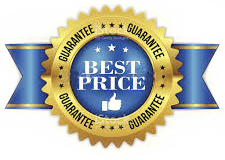 With our Guaranteed Lowest Pricing plus the additional savings you'll enjoy with our quantity pricing offers nobody saves you more money on high quality Spiral-O Wire Binding Supplies than Laminator.com.